Atal Bihari Vajpayee’s Pakistan policy was an open book. He wanted improved relations with Pakistan without sacrificing India’s interest. He wanted the people of the two countries to live in amity and friendship as good neighbours. Vajpayee had been pragmatic in respect of his Pakistan policy. On a visit to Pakistan as Foreign Minister in February 1978, he was asked how he reconciled his commitment to the Shimla Agreement to his earlier position that it was a stab in the nation’s back. He said amidst laughter, “I am trying to forget my past and I urge you to do the same.” Earlier, immediately after taking over as foreign minister in March 1977, he assured the Pakistan Ambassador that there was not going to be any change in policy towards Pakistan as the existing foreign policy “was based on more or less national consensus”. This reflected both pragmatism and statesmanship. It can be considered as a master stroke for both the then Prime Minister, P.V. Narasimha Rao, and the then Leader of the Opposition, Vajpayee, when in the 1990s the former persuaded the latter to lead the Indian delegation to the UN Human Right Commission meeting in Geneva, which was then discussing issues related to India and Pakistan. By this single act alone, they both showed to Pakistan and the rest of the international community that India spoke in one voice on its relations with Pakistan. It resulted in a profound victory for India. It was satisfying as the High Commissioner to Pakistan to watch this development. The Kargil war, however, did not prevent Vajpayee from inviting General Pervez Musharraf to India, resulting in the Agra Summit of July 2001. 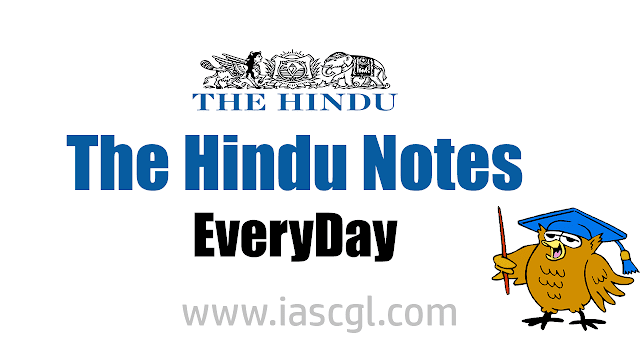 Earlier, in his January 1, 2001 message — the famous “musings from Kumarakom” — Vajpayee had stated that it was time to resolve the Kashmir problem of the past and that “India is willing and ready to seek a lasting solution of the Kashmir problem”. People in Kashmir still emotionally remember his musings. Vajpayee made his second visit, as Prime Minister, to Pakistan in January 2004 to attend the South Asian Association for Regional Cooperation (SAARC) Summit. After strenuous negotiations, in the bilateral joint communiqué issued at the end of the visit, President Musharraf gave the assurance that he would not permit any territory under Pakistan’s control to be used to support terrorism in any manner. This was an important commitment by Pakistan which was made possible because of Vajpayee’s resolve to improve relations, despite the setback in relations as a result of Kargil and the failed Agra Summit. This commitment paved the way for bilateral negotiations to be resumed between the two countries. Vajpayee’s visits to Pakistan have to be viewed in the context of similar visits by other Prime Ministers. Interestingly, nine out of 14 Prime Ministers of India never visited Pakistan during their tenures. Most visits by Indian Prime Ministers to Pakistan took place when the Prime Minister’s party enjoyed an absolute majority in the Lok Sabha — for example, Jawaharlal Nehru, Rajiv Gandhi and Narendra Modi. Even Shastri had a majority in Parliament when he undertook the visit to Tashkent and had earlier made a transit halt in Karachi to meet Ayub Khan. The exception to this is Vajpayee who, even though he led a coalition government, visited Pakistan twice. Several reminiscences of meetings with former Prime Minister Atal Bihari Vajpayee resonate. During my tenure as High Commissioner in Pakistan, while on a visit to Delhi, Prime Minister Narasimha Rao asked me to brief the Leader of the Opposition. As always, Vajpayee was warm. Supportive of improving relations with Pakistan, he told me to go ahead with the suggestions. His sane advice was that whenever a proposal was made, it must be ensured that the other side did not mistake it as a sign of weakness. He added that as Foreign Minister he had encouraged travel and trade between the two countries — to those, he said, you could now add tourism. Later in July 2001, when I was Ambassador in Moscow, I was called to Delhi when preparations were being made for meeting General Musharraf in Agra. I attended preparatory meetings at the Prime Minister’s Race Course Road (now renamed Lok Kalyan Marg) office. Vajpayee calmly listened to all view points and was in favour of a consensus decision to move forward. The deliberations in Agra, however, did not succeed. When he appointed me as Special Envoy for Afghanistan, just after my retirement from the Indian Foreign Service, in the aftermath of 9/11, his directive was to find a solution to the Afghanistan issue and see if it could also help Pakistan to change its attitude towards India. Prior to Vajpayee’s departure for Islamabad in 2004 for the SAARC summit, I was asked to meet him. On inquiring from his secretary as to how much time had been earmarked for the briefing, I was informed that there was plenty of time as Mr. Vajpayee had a dentist’s appointment only in the evening as offices and shops would be closed by then. He chose this time as he did not wish to inconvenience the public with traffic arrangements. His entire emphasis during the conversation was that we should work towards making Pakistan realise that it needs to cease help to terrorists so that discussions on bilateral relations could move ahead. I made a few suggestions, and he thanked me as was his gracious nature. Two hours later I received a call to the effect that I had made seven points which I should send in writing. He remembered the number. My last meeting with Vajpayee was on June 10, 2006, when I briefed him on the back-channel discussions with Pakistan. Thereafter, I continued briefing Brijesh Mishra, who had been Principal Secretary in the Vajpayee PMO and who was in regular touch with him. His policy towards Pakistan, based on pragmatism and realism, was to move ahead keeping in view our interests. There had been a consistency in his attitude towards Pakistan as Member of Parliament, Foreign Minister, Leader of the Opposition and later as Prime Minister. This goes to show his sincerity and commitment. The emergence of a raging controversy around a Carnatic singer who recently announced a concert dedicated to Christian songs is an issue to ponder over. He was hounded — subjected to abuse on the phone and on social media — till he cancelled the programme. Another group of eminent artistes was accused of helping proselytisers in their task when they sang Christian songs set to Carnatic tunes. It soon gave rise to fake news. It was said that the songs of poet and composer Tyagaraja had been plagiarised, with the word ‘Rama’ changed to ‘Jesus’. Nothing could be more false than this. The similarity of lyrics in just one song does not make for concrete proof; all the artistes accused of this falsehood have denied such a charge. The propagators of the false claim have not been able to back their allegations with any evidence either. There was more to come. Old photographs that showed a prominent Carnatic artiste in the company of a well-known Christian priest made an appearance which fuelled demands that the performer ought to be stripped of all awards and titles for having committed such a heinous offence. The artistes concerned were subject to vile abuse. Some Sabhas upped the ante — based on hearsay — by deciding to boycott these ‘tainted’ musicians. What they chose to conveniently ignore was that these performances had been recorded five years ago and were all along on YouTube. Nobody cared to take note of this. What is the threat they have posed to Hinduism? How can this music, which is predominantly Hindu, be used this way is a prominent question in many minds. Forgotten in the midst of all this is the fact that there has been a long-standing Carnatic tradition in the church and which goes back to the time of Tyagaraja himself. The composer’s contemporary, Vedanayagam Sastriar, created songs and operas in the Carnatic style. Some of the tunes are very closely modelled on Tyagaraja’s songs. ‘Sujana Jivana’ (Harikamboji) has a parallel in ‘Parama Pavana’. At this point in time it is impossible to state who borrowed whose tune and made it his own. The works of Sastriar, such as the ‘Bethlehem Kuravanji’, continue to be performed by his descendants as ‘Kathakalakshepams’ in various churches. Since the time of Sastriar, there have been several Carnatic music exponents in the Christian community, and who propagate the art in the church. The interest of Christians in the art form was encouraged and nurtured by many traditional artistes. The 19th century composer, Samuel Vedanayagam Pillai, had all his songs vetted by Gopalakrishna Bharati, the author of ‘Nandan Charittiram’. Tamil scholar Meenakshisundaram Pillai and the pontiff of the Thiruvavaduturai Mutt, Melagaram Subramania Desikar, were Pillai’s close friends. In the late 19th century, the lineages of Tyagaraja and Dikshitar saw merit in A.M. Chinaswami Mudaliar, a Roman Catholic, and taught him what they knew. When Rao Saheb Abraham Pandithar convened the first ever Carnatic Music conference, in Thanjavur in 1912, helping him was Harikesanallur Muthiah Bhagavatar. In the 1930s, Pandithar’s son, A.J. Pandian, set about composing Christmas carols in Carnatic style. Muthiah Bhagavatar, who would later compose many songs in praise of Devi and Shiva, helped in their tuning. The work was praised by Kalki Krishnamurthy, and Pandian was asked to present his music in the form of an orchestra at the Music Academy’s December festivals in Chennai, in 1935 and 1937. In 1918, Rev. H.A. Popley began a Summer School of Music to teach Christian men and women; P. Sambamoorthy became a lecturer here, in 1924. A year later, he became its vice principal, eventually rising to become its principal. Nobody saw anything amiss in an orthodox panchakaccham-clad scholar teaching his art to Christians. D.K. Pattammal did not feel out of place in joining this school to further her knowledge of music. For that matter, the prima donna of our art, Veena Dhanammal, saw merit in Calcutta’s Gauhar Jan and Abdul Karim Khan and taught them some songs of Tyagaraja. These were even released as gramophone discs. Not many know that the Tamil Isai Sangam began life in the parish hall of St. Mary’s Co-Cathedral in Chennai. In the 1950s, K. Narayanaswami Iyer, grandson of Patnam Subramanya Iyer, turned composer. His works, compiled as New World Songs, include pieces in praise of Christ. In the world of films too, there were productions set to Christian themes. Papanasam Sivan composed the music for a song in Gnanasoundari (Citadel Pictures). P. Leela (to many, the voice of the Narayaneeyam), sang ‘Enai Aalum Mary Matha’ in Missiamma. M.L. Vasanthakumari sang a similar piece, in chaste Carnatic style, for the film, Punyavati. If anything, the impact of film songs would have been more widespread than any Carnatic concert featuring Christian songs. Ten years ago, Sister Margaret Bastin, a nun, made a fantastic presentation on the life of Karaikkal Ammaiyar at the Music Academy. Times were different and nobody saw the need to raise a hue and cry, which is why the present outcry does not make sense. Started by fringe elements and milked for what it is worth by publicity hounds, the controversy now has only obscured the facts. It is high time that those who perceive threats to Hinduism from these songs pondered over the facts and initiated course correction. And if they thought that Carnatic music is the means by which other religions can attract people, they are grossly overestimating the reach of this niche art. In the larger scheme of things, highway markers — the reflective stickers on railings that guide traffic on Bhutan’s steep mountain roads — should not be a big issue. But when the Border Roads Organisation, which helps build Bhutanese roads under Project Dantak, decided in July to make those markers in shades of the Indian tricolour, it raised red flags among the Bhutanese on social media. Citizens were worried that this was an attempt by India to impose its flag on their countryside. This wasn’t a first. In April last year, the Department of Roads had to remove a board which read “Dantak welcomes you to Bhutan” at the Paro international airport. And on the Thimphu-Phuentsholing arterial highway, another board that credited the “Government of India” had to be painted over. Eventually, in the recent case, which was covered by the national weekly The Bhutanese, the Minister for Public Works stepped in, and the stickers were changed to blue and white. The incident was a blip in India-Bhutan relations, but it is a clear indicator of heightened sensitivities in the Himalayan kingdom as it heads to its third general election. The National Assembly of Bhutan was dissolved and an interim government was appointed this month ahead of the election, which will be completed by October-end, marking 10 years of democracy in Bhutan. The People’s Democratic Party, led by imcumbent Prime Minister Tshering Tobgay, enters the elections with a visible edge, even if it may not be able to better its landslide victory in 2013, when it won 32 of the 47 seats. At his party’s first rally on August 4, Mr. Tobgay touted the 8% GDP growth in favour of his party, which has been fuelled by a construction and tourist boom in Bhutan. He can also take credit for stabilising the rupee-ngultrum crisis that he had inherited, as well as for economic reforms including lifting the import ban on cars. However, Mr. Tobgay has been unable to curb the national debt, owed mostly to India for hydropower loans, as he had promised to do in his last campaign. Attacking Mr. Tobgay over a perceived “pro-India” stance will be part of the Opposition’s messaging. At its first rally, on July 29, the Druk Phuensum Tshogpa (DPT) party president, Pema Gyamtsho, said that “sovereignty, security and self-sufficiency” were the DPT’s top priorities. Crucially, this election comes after the 73-day India-China stand-off in 2017 in the Bhutan-claimed area of Doklam. Even though public commentary on the tensions has been frowned upon, Mr. Gyamtsho’s statement advocates a Bhutanese foreign policy that is less dependent on India. Another party in the fray, the Bhutan Kuen-Nyam Party, which has drawn large crowds at its meetings and derives some backing from a respected religious figure in eastern Bhutan, has a similarly worded campaign manifesto title: “For a self-reliant Bhutan: our concern, our responsibility”. Clearly, though Mr. Tobgay has called the raising of “sovereignty” issues by the Opposition as scaremongering, the concerns over India’s or any other country’s presence in Bhutan’s domestic and foreign policy are not being dismissed. Given this, India must step lightly and thoughtfully around the upcoming election. The Manmohan Singh-led United Progressive Alliance government’s decision to cut cooking gas subsidy just before the 2013 elections in Bhutan has often been shown as proof of Indian interference, especially by the DPT party that lost that election. Since then, the Narendra Modi government’s actions, indicating a preference for one party (for example, Sheikh Hasina’s Awami League in Bangladesh) or antipathy for another (such as for Mahinda Rajapaksa’s Sri Lanka Freedom Party), have been noted closely in Bhutan. The government would be best advised to keep high-profile visits at an arms length from the election process, especially given that there will be several such visits after the National Assembly is chosen. 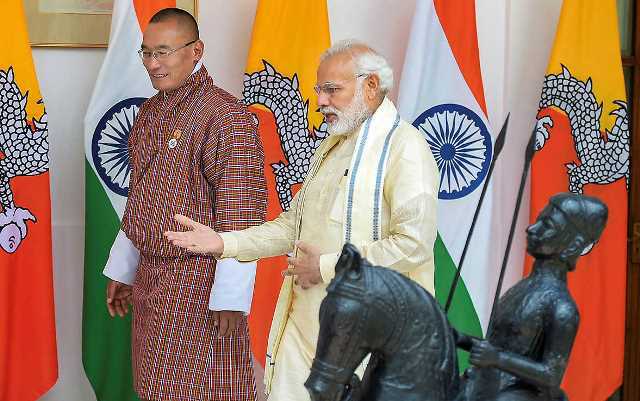 Mr. Modi is expected to visit Thimphu once a new government is in place, and Bhutan’s King Jigme Khesar Namgyel Wangchuck is expected for a state visit this year too. The ensuing months may also be a useful interlude to revise India’s Bhutan policy and address several issues that have come up in the past few years — for example, the hydropower projects where delays in constructing and commissioning in Bhutan by Indian companies have led to the country’s burgeoning national debt. Although the government agreed to raise tariffs for the original hydropower plant in Chukha (by about 30 paisa per unit) in February this year, other tariffs will need to be renegotiated too. In addition, India’s power-surplus status and the advent of other renewable energies like wind and solar power will make it more difficult for Bhutan to ensure that its hydropower sector becomes profitable. And unless India finds ways to help, it will be accused of the same sort of “debt-trapping” that China is accused of today. India also needs to focus on policing cross-border trade better. The goods and services tax still hurts Bhutanese exporters, and demonetisation has left lasting scars on the banking system. The biggest issue between India and Bhutan will remain how to deal with China. The Doklam crisis has brought home many realities for the Bhutanese establishment. The first is that Doklam, which has long been discussed as part of a possible “package solution” to the Bhutan-China border dispute, could become a point of India-China conflagration, with Bhutan becoming a hapless spectator in the middle — again. Experts point out that China’s actions since last June, to build a permanent military presence above the stand-off point, mean that Bhutan has a much reduced advantage in any forthcoming negotiations on the issue. “We will continue to discuss Doklam de jure, but the situation has changed drastically de facto,” said one Bhutanese expert. After Mr. Modi’s Wuhan outreach and several meetings with Chinese President Xi Jinping, Bhutan too has decided that there is little point in avoiding engagement with China. China’s Vice Foreign Minister Kong Xuanyou’s July visit to Thimphu was an outcome of this stance. India’s rapid urbanisation has been proceeding apace for decades, but policy solutions have been shots in the dark. For the thousands who come to the cities every day, cheap housing in slums is often the springboard to better lives. However, studies show that these migrants often get stuck in a vicious cycle of debt and socio-economic stagnation. First, India must get its numbers right as there are no concrete figures on these temporary and semi-permanent settlements. Slums have a fluid definition and legal pedanticism leads to exclusion of people. The 2011 Census estimated 65 million people in slums, a marked shortfall from the UN-HABITAT’s 2014 estimation of 104 million. Current slum policies primarily focus on housing, relocation or in-situ development of multi-storey complexes, which free up swathes of prime real estate. But in doing so, they miss out on the brewing socio-economic distress in slums. This was revealed in two projects conducted in Bengaluru and which could apply to other Indian cities too. A long-term, multi-institutional survey by researchers from the Netherlands, the U.S. and a local NGO, Fields of View, reveals that over 70% of families in slums live in debt. The difference between their monthly earnings and expenses is less than ₹1,000 leaving them vulnerable in case of educational, vocational, social or health emergencies. Moreover, with no access to formal financial systems, any borrowing comes from private money lenders at high interest rates. For many, even water and electricity are disproportionately more expensive as they are forced to rely on the grey market rather than on formal, subsidised channels. The cumulative effect is that residents end up staying in the same slums for an average of 21 years, according to a seven-year exploratory study helmed by Duke University, U.S. Seven out of 10 households have stayed in slums for at least four generations. These families earned only marginally more than “newer” migrants. When families did move out of their slums, it was towards “cheaper,” worse-off slums. This is in contrast to the rapid upward mobility among other urban sections. Disturbingly, both studies show that there is little upliftment despite better education levels. This is perhaps due to the rapidly changing profile of entry level jobs. Undergraduate or technical certificates can only provide low-paying jobs. Much like their parents, the youth earn less than their more-educated peers who don’t live in slums. A case can be made for a nuanced slum policy, rather than a one-size-fits-all approach. In many established slums, political patronage has produced concrete houses, title deeds, piped water and regularised electricity. Here, economic opportunities and employment are key. On the other end, slums resembling tented refugee camps need housing and basic amenities. Until these nuances are considered, ambitious but slow-to-implement housing schemes will do little for the welfare of slum dwellers.